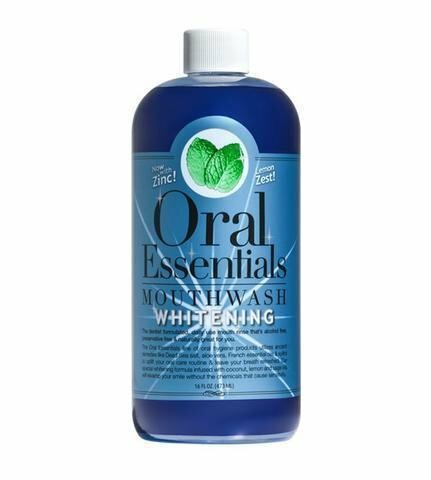 Oral Essentials Whitening™ Mouthwash for Sensitive Teeth 16 Oz. Whitening without sensitivity, Oral Essentials Whitening Formula mouthwash combines the benefits of our Original Formula mouthwash with lemon oil, coconut oil, and sage oil to. It whitens and brightens teeth without sensitivity, making it the first daily use teeth whitening mouthwash available on the market! MOST TEETH WHITENING PRODUCTS: on the market use baking soda or hydrogen peroxide as a whitening agent. These are very effective in teeth whitening, but should not be used more than once or twice a week. Both baking soda and hydrogen peroxide are powerful ingredients that can wear off enamel, causing tooth sensitivity over time. Oral Essentials teeth whitening mouthwash formula uses Dead Sea Salt, Lemon oil, sage oil and coconut oil to whiten teeth without sensitivity, making it the first daily use teeth whitening mouthwash formula available! BECAUSE ORAL ESSENTIALS whitening formula does not strip or weaken enamel in order to whiten teeth, it takes a little longer to show results. Your tooth structure is important to us, so please allow 30-60 days for a brighter, whiter smile! FOR THOSE INDIVIDUALS who drink highly staining liquids on a daily basis, such as coffee, tea, and/or red wine, Oral Essentials whitening mouthwash formula is the key to maintaining white sparkling teeth! This formula was designed to be used daily, unlike those containing baking soda or hydrogen peroxide, making it the perfect formula to keep up with your daily routines. Combine with our Teeth Whitening Toothpaste for best results! 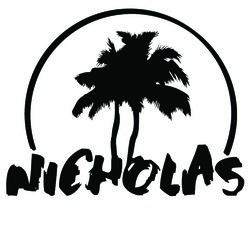 CONTAINS DEAD SEA SALT: Dead Sea salt is the world's most potent salt. People have been traveling to the Dead Sea for thousands of years to swim in its nutrient-rich waters. It contains dozens of minerals including calcium, magnesium, and potassium, which have all kinds of beneficial effects on the body. Our specially-formulated teeth whitening mouthwash contains Dead Sea salt, making it a great mouthwash for sensitive teeth. Directions: For a clean, fresh mouth, swish vigorously with 1-2 caps worth for 60 seconds, 2 to 3 times a day. Store in a cool, dry place.